With graduation fast approaching, we’re taking the month of April to honor our M&T Class of 2015 with a few Senior Spotlights. 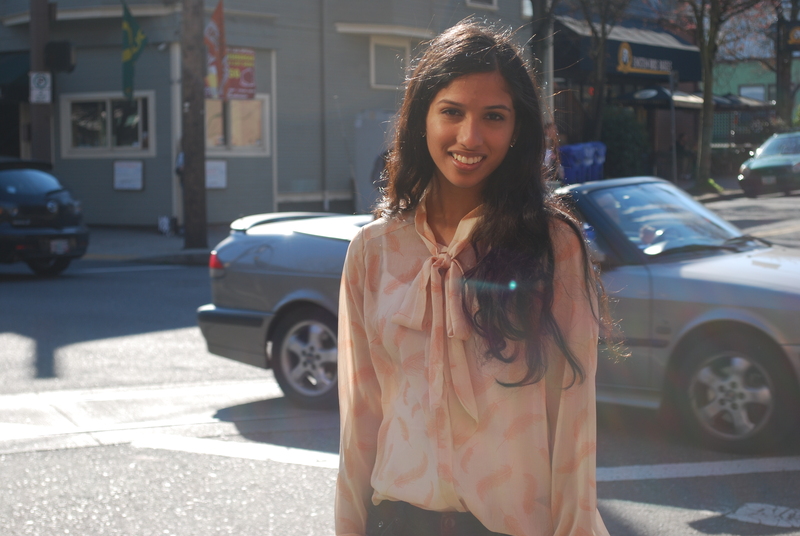 This installment comes to us from Vidushi Bhargava about her favorites at Penn and Philadelphia. I can’t believe I’m writing this right now! Four years at Penn have gone by so quickly and it feels like just yesterday I was a freshman. While these have been the most challenging years of my life, they have also undoubtedly been the most enjoyable, and I can’t believe it’ll be over in a few weeks. There are so many aspects of Penn that I won’t forget. While I can’t put my finger on just one, one of my favorite times at Penn is definitely the first few weeks of fall semester as well as the last few weeks of spring semester. When the sun is out, Penn’s campus is incredibly beautiful. People are out in the quad playing Frisbee and whatnot, and students are scattered across college green. There are a few classes that stand out to me in my time at Penn. My fall semester junior year, I took a marketing class called Consumer Behavior. We learned about how to approach marketing from a consumer-centric angle, and I think it was this class which ultimately led me to pursue a career in marketing. I have also taken some remarkable English classes as electives; I’m glad that I’ve had the opportunity to take classes outside of Wharton and Engineering despite being in a rigorous program like M&T. While Penn’s campus is where I’ve spent most of my time, I’ve fortunately also had the opportunity to explore Philadelphia a little bit. I’m a huge fan of Philly’s food scene. One of my favorite areas is the 9th Street Italian Market which has been around for more than 100 years. The shops here are really old but have great quality goods. There is fresh pasta, meat, cheese, and more, and it’s something you really shouldn’t miss. I can’t believe I’m going to be a Penn alumnus soon, and I can’t say I regret the decision to come here at all. Penn and M&T have been a great social, academic, and overall learning experiences, and I am lucky to have been a student in this program. Vidushi, originally from Portland, Oregon, is a member of the M&T Class of 2015. She studies Biomedical Science within Penn Engineering and Marketing, Management, and Entrepreneurship & Innovation in the Wharton School. After graduation Vidushi will join Mondelez International in New York in their Brand Management / Marketing division.